Hejsan, hejsan! Sorry for the silence, I've just returned from 10 truly wonderful days in Kerala, India. My grandparents (and Mother) lived in India for many years and I've always dreamed of following in their footsteps. My expectations, already high), were far exceeded - the sights, the sounds, the smells, the vibrant colours, the lovely people, just everything! Have you ever been? If not you must! We only managed to cover the very tip of the iceberg so another visit is definitely in order! Tips welcome as always! 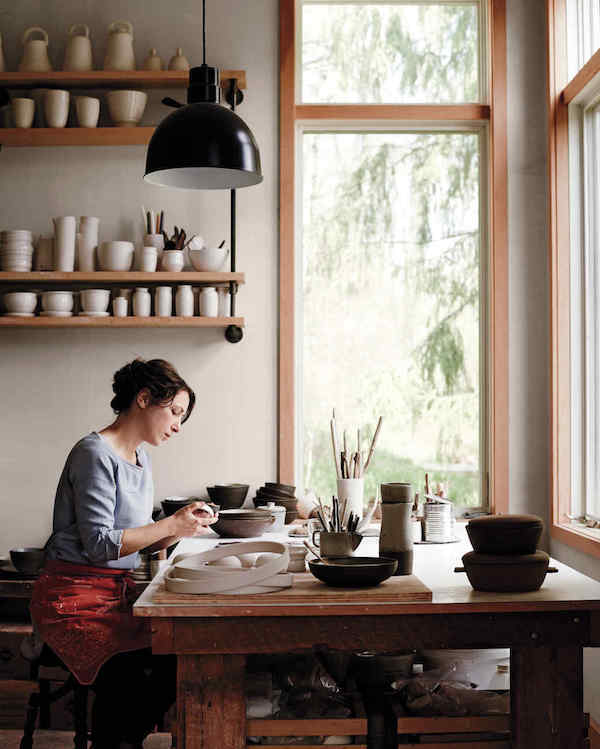 I thought I'd kick off the week with this beautiful country house in upstate New York designed and owned by ceramicist Kelli Cain and partner Brian Crabtree. 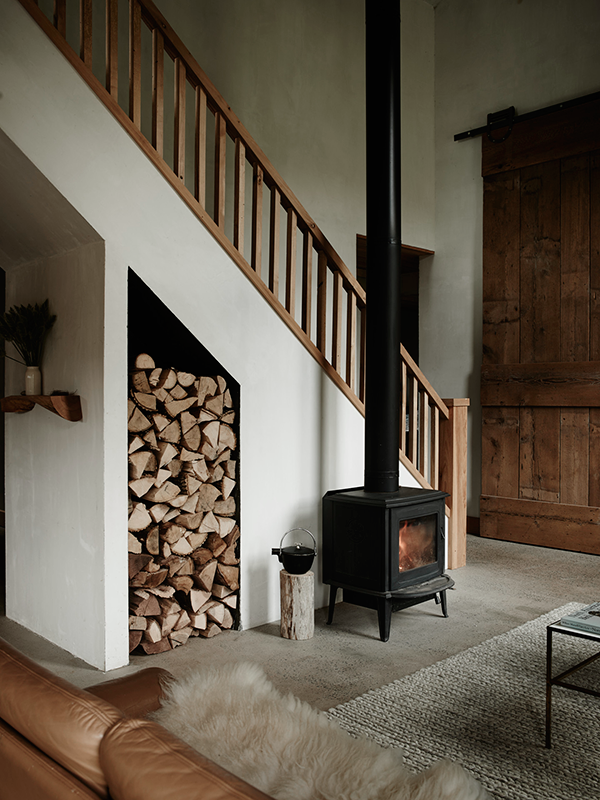 The open-plan space includes 4.5 metre (15 feet) high ceilings, a cosy wood-burning stove and has been decorated using earthy tones and an abundance of natural textures and objects - many of which have been made from reclaimed materials - for a truly warm and inviting home. 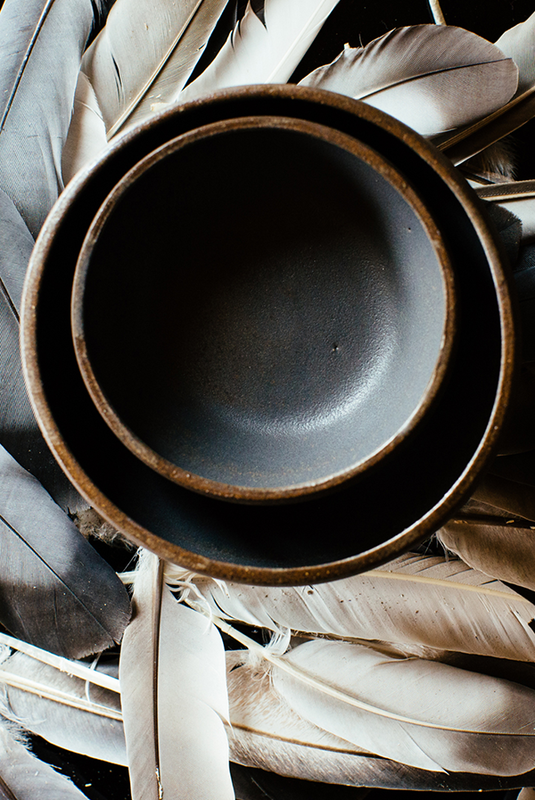 Photography: Pia Ulin - shared with kind permission. I don't think I've ever seen a fireplace right in front of the stairs before, have you? 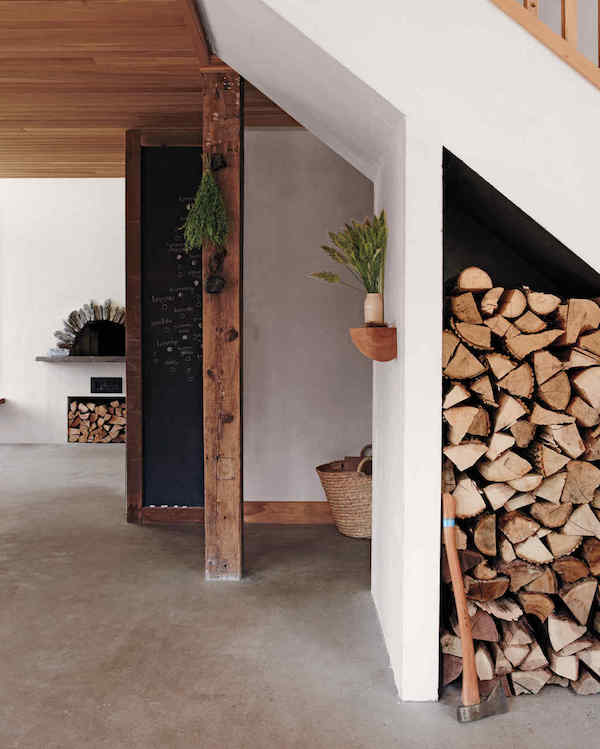 I love how the disused space under the stairs doubles up as log storage too - very clever. If I had a wood burning stove I'd have it going right now beside me while I sip coffee and tap away at my laptop, how about you? 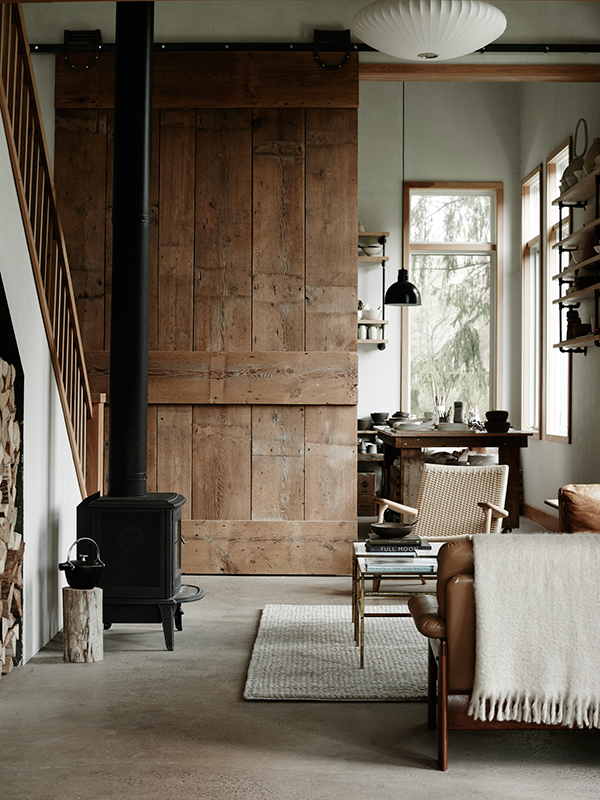 I also love how the magnificent barn door made from recycled wood which can be pulled across to slip in light or closed to separate the home office from the living space. 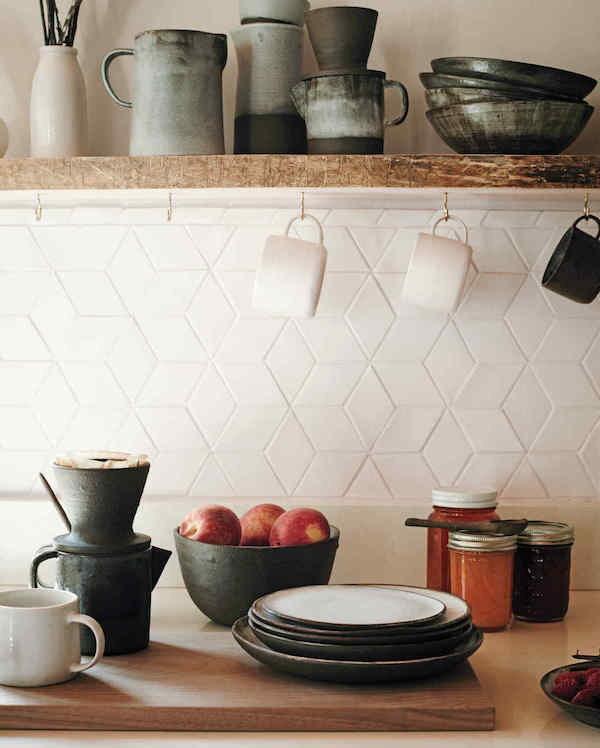 Get the look: many of the beautiful ceramics (including the incredible geometric backsplash!) are by Kelli Cain. Herman Miller saucer pendant light, Carl Hansen CH25 easy chair, natural weave basket (love this!). You can see a full write up and more pictures over at Martha Stewart. 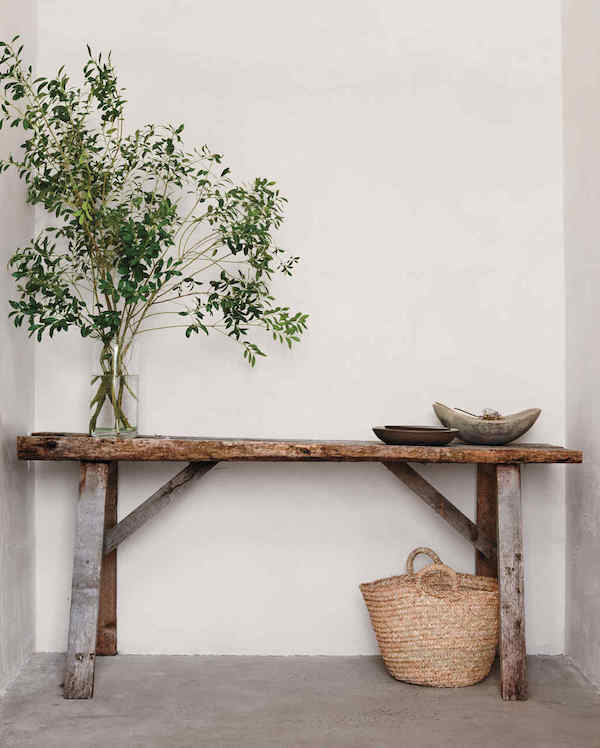 The space reminds me very much of another home in Upstate New York which I featured in my book Modern Pastoral - both of which truly embrace the idea of bringing the tranquility of nature indoors. So inspiring! PS I'm announcing not one, but TWO give-away winners to today - so keep an eye out on Instagram and this blog post to see if either are you. 'Holding thumbs' as they say in Sweden! 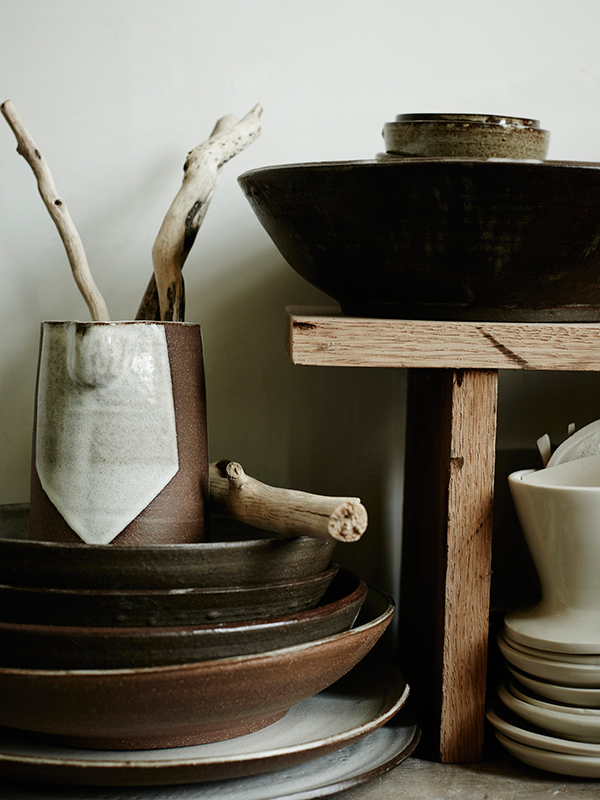 PPS It was a pleasure to contribute to Houseology's round-up of 51 Scandinavian design ideas! Gorgeous! Love the serene colors and lived in cabin look- welcome back you were missed! awww, thank you, always nice to hear! :) I love this house too, beautiful! Beautiful....!! 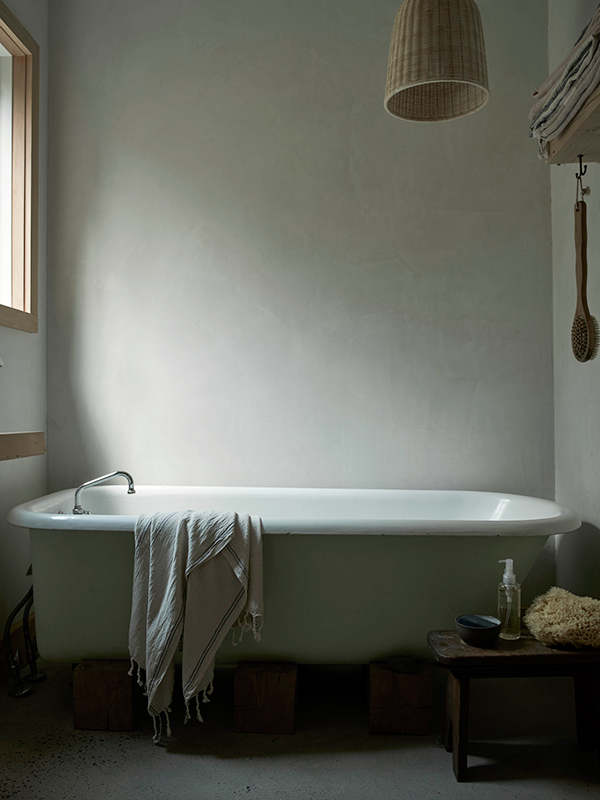 !Sometimes you can use natural stone tiles for giving a natural effect. Simply amazing! 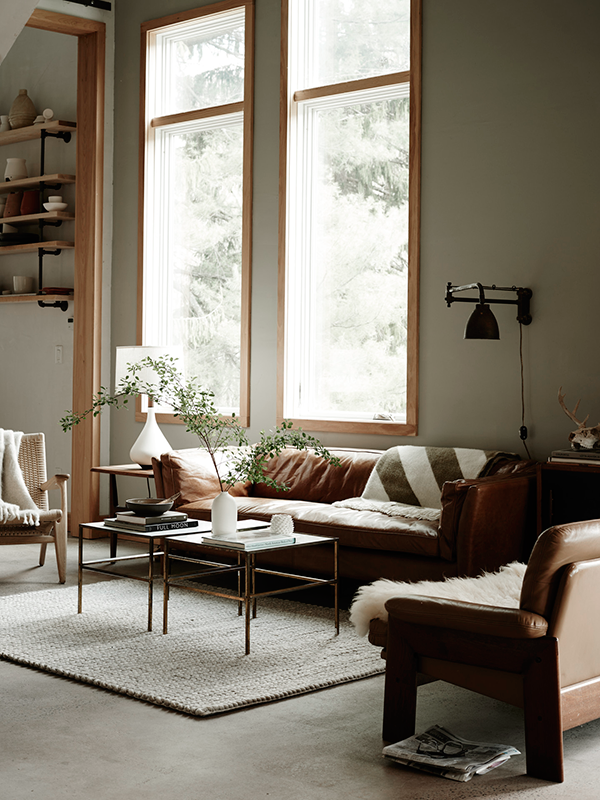 Great neutrals, textures & light while purposeful and minimal at the same time. Love it! Beautiful and cozy house!! I love it!! I am happy to hear that your trip to India was so nice! Have a nice weekend!!!!!!!! !